Anaïs Biguine is a fascinating woman. 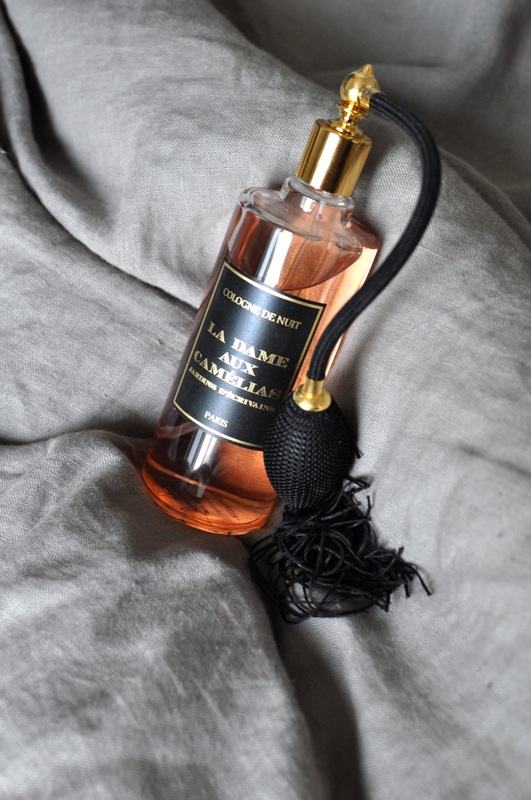 A self-taught perfumer, impressively cultivated, she is driven by the will to learn, thus inspiring a certain respect. Today, it is alone and brilliantly that she runs Jardins d’Ecrivains, a house whose personal approach makes it stand out from the niche crowd, without preventing it from having developed some 250 points of sale in 25 countries. I met Anaïs for a cup of tea at the Hotel Shangri-La, where we discussed the romanesque story of her house. Where does your passion for literature come from? It is something mothers pass on to their daughters. I grew up with lots of books around : at home, our family we would spend entire Sundays reading without even talking to each other, and everyone’s read was respected. I have an infinite love for literature. I’ve been studying George Sand for more than thirty years, just like Stefan Sweig: they are two of my favourite authors. And I made it a personal rule that I must read the books that I love most at least once every ten years. Do you have a favourite literary period? How was Jardins d’Ecrivains born? I have always been eager to discover new places. And besides the beautiful things one can see there, what fascinates me is to enter the existence and the sensibility of the people who lived, composed, wrote there. In the summer of 2011, I took my daughters to Victor Hugo’s house in Guernesey, a beautiful place with a very fragrant garden full of flowers. This house is the only one that Victor Hugo ever owned, and it is a true artwork. This is where it clicked in my head: I saw my two girls sitting on a bench in the garden, and I thought it was such a strong thing that I wanted to capture this moment of grace. I came home to my mansion in Normandy and, I don’t know why, a candle came to my mind. Whereas I had never made one and I had nothing to do with the world of perfumery! I had kept, more than anything, an olfactory impression of this garden with its blooming lilies. So I called up a lab in Grasse, I had raw materials sent to my home, I made a huge list of everything I wanted, I started making mixes and sniffing around and I learned how to identify notes the way I identify words. Wait, do you mean you just went for it on your own? Yes, because for one thing, I hate to delegate. Besides, it’s not knowing that I’m interested in, it’s learning. Learning is my drive. I have the curiosity of a detective when it comes to learning things that are not easy. It’s true! So I brought in all these raw materials, and then I invited this wonderful wax maker from deep down in France, and I asked him to tell me everything, to explain all the things he knew. I immersed myself into technique because creating is one thing, and I do love telling stories; but if it is going to be viable I have to be legitimate as a candle-maker so I need to master the technicality of it. Where do you raw materials come from? Must I understand you composed everything yourself, from candles to perfumes? Everything. At first I focused on the candles and I learned a lot from it. I started with Colette: her house was located in La Treille Muscate, which was just down where I loved in Saint Tropez. I loved this place, I would walk by it twenty times a day, there is so much poetry there. The fragrances of the Baie des Caroubiers, with all those pine trees, it was wonderful. And I love Colette as a character! But, just like George Sand, her writing is not nearly as great as she the existence she had. Karen Blixen, whom I love, is just the same. It’s their lives that move me, more than their actual writings. Then I did Maupassant, because I love his work which is a real study of 19th-century behaviours. Since he enjoyed food, I imagined his Etretat garden at tea time. It is a very love-it-or-hate-it candle, but I have no problem with that! After Maupassant, I walked the birch tree forests of Iasnaïa Poliana with Tolstoï, my favourite candle. When I imagine a candle, I always think of the room it will fit best in the house: Tolstoï is perfect for a library, Casanova with its bitter almond and magnolia and Maupassant do very well in a kitchen or a dining room because they blend harmoniously with cooking smells. Sand, a very sweet floral based on violet and freesia is perfect for a bedroom because nothing must be aggressive in a bedroom. Blixen and Sweig, more woody, more exotic, are perfect for a living room. When did you decide to sell your candles? A PR person I was working with saw my candles on my desk and asked what I was doing. I told her I was having fun and did not ambition to launch my brand. She told me I was crazy, that this was incredible; I was introduced to a few people and I started to realize that, maybe, there was something to do there. I started to be distributed, among others at Jovoy, in Paris. And then one day, David Frossard (co-founder of Différentes Latitudes, expert in rare fragrances) tells me that I should make a perfume. It comes to me as a real shock, because I think I need technical skills. …which you didn’t think were necessary to make candles? And then, instantly, I know my perfume will be called George. It’s obvious. I want to make a unisex perfume, which is the definition of niche perfumery, and who can incarnate the notion of mixity better than a woman who dresses like a man to be able to enjoy the conditions men are keeping for themselves? George, I have it in my nose right away, because I have spent so much time in her house in Nohant that I already know I want a nocturnal atmosphere. George Sand is a life bulimic, she spends a lot of time with her kids, she invests herself in many projects, she is like a mother to Chopin, she gardens a lot, cooks a lot, goes to the theatre, leads a phenomenal social life, travels… So in the end, the only moment she manages to make a living and be productive – because she supports many people, so much that her generosity gets her the nickname “good lady of Nohant” – well it is at night! When she is done with her diner parties, when her children are asleep. Intimate George is night time George. She keeps the coffee she loves by her side, she smokes the cigar, so I immediately thought I had to have coffee and tobacco in this perfume, which is pretty odd already, and that I had to look for the fragrances she wore herself – meaning chypre compositions. I recreated something very particular. When I launched George at Jovoy, in September 2012, all the press was here, and it was very well received. I think my boldness opened a lot of doors, because people saw that I hadn’t tried to reproduce something that already existed, that I had real stories to share. It paved the way to several perfumeries because retailers thought my proposition was unique. What I find very interesting about niche perfumery at the moment – and I hope the way everyone has started to care for niche won’t change this – is how people are looking for an original identity: they are eager to really appropriate the spirit of a fragrance. With my passion for people’s lives, I find this extremely interesting. 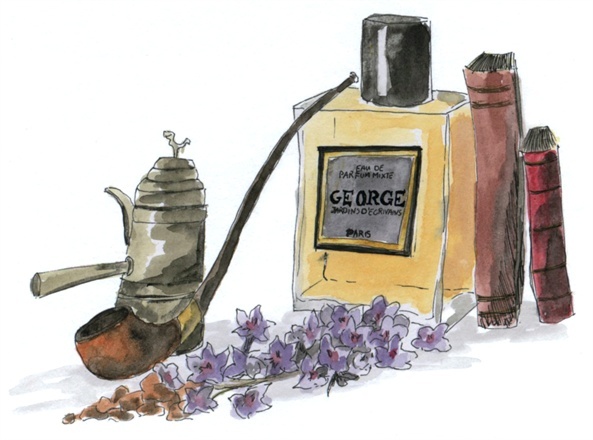 After George, which perfume did you work on? After George, I re-read La Dame aux Camélias. I am moved by the character of this little Marie Duplessis, who, like me, comes from Normandy. Her life, yet so short, inspires Verdi to compose his Traviatta, inspires Dumas whom she has an affair with, just like Liszt… It is a fascinating life. But I didn’t want to turn it into a perfume because I didn’t think it was an identity story. So I did a Cologne with it: I think we love having a different fragrance for the night. And I loved the idea of having a night time perfume, a perfume for love. This is why the name says « parfume le corps des amoureuses » (« a perfume for lovers’ bodies »): it was her job. She was a kept woman, as they would elegantly put it. 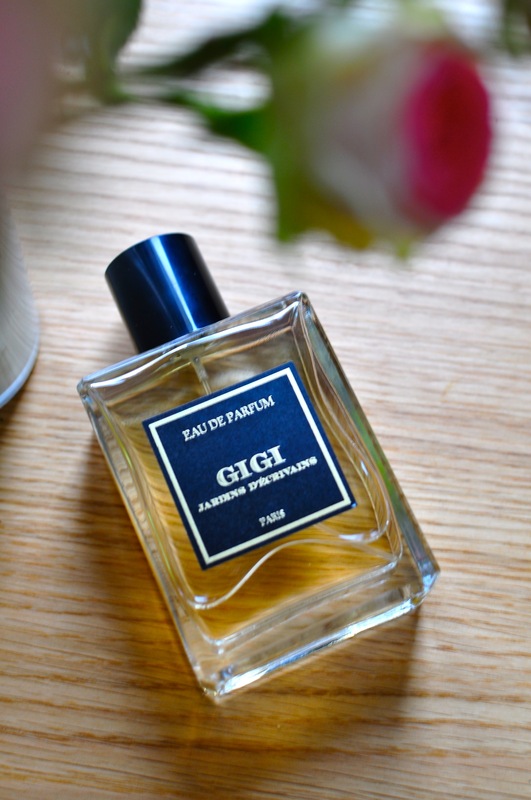 This is a surprising Cologne because it isn’t citrusy but floral, with tonka bean. What makes it a Cologne, then, is it its concentration? Yes, exactly. The idea was also to create an object with a use that brings us back to another time, hence the balloon pump atomizer. It is after this one that you had the idea of Gigi? Yes. After all these dramatic characters, I went for something lighter, less violent. I wanted youth, and the character of Gigi as described by Colette, this transitory age when one becomes a woman, is the age of carelessness, of energy, of inappropriateness. Gigi is naughty, she’s charming like a breath of fresh air. She’s at an age when everything is possible. I know that Colette was crazy in love with white flowers. But if I had put nothing else but white flowers, I would have ended up with an old lady fragrance, which was the opposite of what I had in mind! We found a twist with tuberose and blackcurrant. When I wear Gigi, everyone asks what I am wearing. It is extremely luminous. And what is the story of Wilde, which is one of my favorites? My Italian distributor, who is a great man in the world of perfumery, asked me if I would be able to make a perfume that would bear a man’s name. I immediately thought of Wilde and I went for it. This man’s elegance has no limits, he is the absolute dandy. His passion for Greek Antiquity found an echo in me – I love Salomé, which he wrote for is great friend Sarah Bernhardt – so I wanted to be in the streets of Mayfair and hint at Greek Antiquity all at once. This is why I called it an « olfactory aphorism »: I wanted it to convey elegance in a second. The technical difficulty of Wilde was to create persistent freshness: I hate it when perfumes fade away. But we did it. Today, I love wearing it and I love what it sends back to me. Geroge is like an armour: I believe it is a perfume for willful people with strong personality, people who feel comfortable with its trail. You have to be somewhat of a revolutionnary. I feel it helps me when I’m full of energy and working a lot; but in quieter times, when I’m meditating for example, I can’t wear it. Then there was Orlando and it was a strange thing. The sensibility of Virginia Wolf moves me but her fragility frightens me: she is not the typical strong woman I tend to love. But she wrote this fantastic tale about a lord, Orlando. When he is thirty years old, Elizabeth the 1st makes him her favorite, at the condition that he doesn’t get old because she hates what times does to people’s looks. And this is what actually happens. As readers, we start following his life as an eternal 30-year-old and going through centuries: in the 18th century, he is an ambassador in Constantinople and after an eight-day nap he wakes up in the body of a woman. He becomes Lady Orlando and comes back to England where he loses all his rights because he is a woman. It is the symbolics of this story that appeal to me. Also, we know that an ambassador of England really did come home to the royal court wearing an incense juice on his body, and popularized it. I wanted to make an ancestral, oriental juice, but not in the heavy, everything-but-subtle clichés of the oriental. I hate folklore. In Orlando, there are tons of spices, orange, pink bay, clove. This perfume is completely unisex, it is actually its very point. Do you wear all your fragrances yourself? Of course, depending on my mood. I think it is a sad thing that some people always wear the same perfume: this makes them linear to themselves, whereas we need to punctuate our energies. We don’t feel like eating the same thing every day, so why would we wear the same thing every day? As far as I am concerned, I understand. In perfume lies a part of our identity, and I used to dream that someday I would find a perfume that would define me perfectly, a perfume people would come to know me by. But that is when you are young! Learning to know one’s self is learning to listen to your moods and how your body feels. When you listen to yourself, it just isn’t coherent to think that you can always have the same smell for night and day, summer and winter. We should all have several perfumes. I am going to focus on an entirely new literary movement: the Beat Generation. It is a crazy thing to follow this quest for liberty and movement that inspired so many artists. 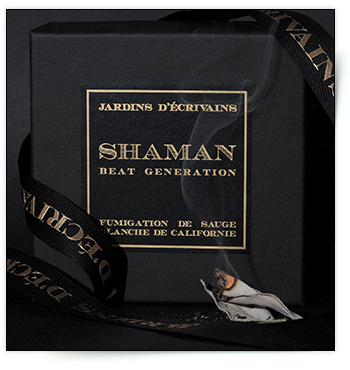 Shaman is the first product of a line that will have three. Among which a very audacious perfume, which will have people talking about it. When will we be able to smell it? I am in no rush. I am a little structure and I am completely independent so I don’t have to follow any retroplanning! I have an assistant, a manufacture, the candles are made in my home, where I work, because otherwise I would see my kids. We live at Jardins d’Ecrivains. I work a lot, but for me it is just perfect. I am free, I am the only responsible for both my successes and failures. So the next fragrance won’t come out in March, as I had imagined, because the fragrance is very complex in its architecture and story. I work on olfactory addiction, on the theme of drugs. And it take time to put an addiction in a bottle.